Sullivan finds himself in a race against time, if he is to arrest The Deerstalker before the CIA take him out, and use his death as a pawn in a political game of chess. Who will win out in the end? Visit Daithi at Heart of Fiction today. 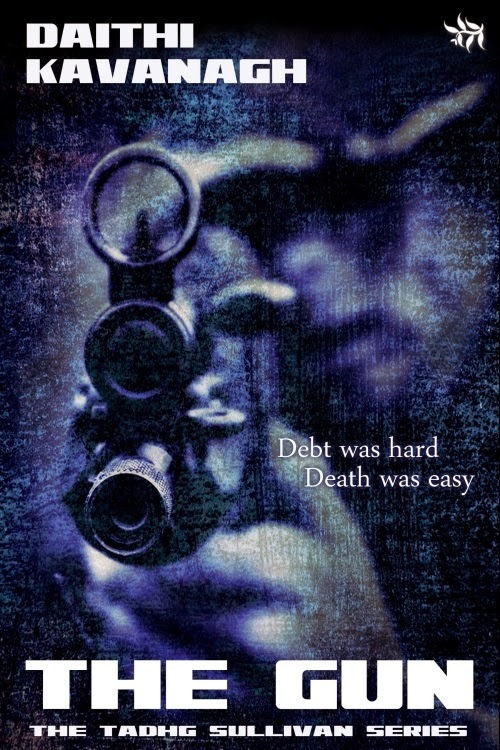 Leave a comment or question with your email address, and enter a chance to win a free copy of The Gun. Nicky and Liam have only twenty-four short hours to find out if their instantaneous attraction can develop into something more than an electric mile-high fumble. San Francisco has everything they need to put their previous disastrous relationships behind them, but when they lose touch with each other almost immediately, fate seems to have other ideas. As the precious hours tick away, Liam moves heaven and earth to find the woman of his (filthiest) dreams before she leaves the city. Will he get to her in time? Visit Cass at Heart of Fiction today. Leave a comment or question with your email address, and enter a chance to win a free copy of One Night in San Francisco. Some would say Charlotte ‘Charlie’ Regan has it all. Beautiful, smart, athletic, and a great job working as a journalist – in the almost exclusively male sports department. But Charlotte is not quite so sure as she seem. Recently split from her overbearing boyfriend, she escapes for weekends surfing in the Atlantic, and spends her free nights watching sports, roaring at the TV. Derry Cullinane is a fashion writer, gossip columnist, and sophisticated man-about-town – The go-to guy for any woman seeking expert advice on what fabulous outfit to wear for any given occasion. He’s also tall, dark, good looking . . . and straight! So what’s the snag? He has a track record of dating glamorous, vain, and shallow women. Charlie gets an opportunity to write a new column under the pen name Side Swipe, but soon is drawn into a war of words and wit with a rival paper’s columnist, The Squire, and their verbal fireworks get readers and editors talking. Yet neither Charlie nor Derry knows just who the opponent is. When Charlotte and Derry meet at the Races, the attraction is instant. As their relationship develops, so much more proves at stake than protecting their alter egos. But a blunder puts Charlotte’s job in jeopardy just as Derry’s past makes front page, and Charlotte begins to doubt her feelings. When Side Swipe and The Squire are finally forced to reveal themselves, will they revert to type – or confound everyone’s expectations? Visit Sharon at Heart of Fiction today. 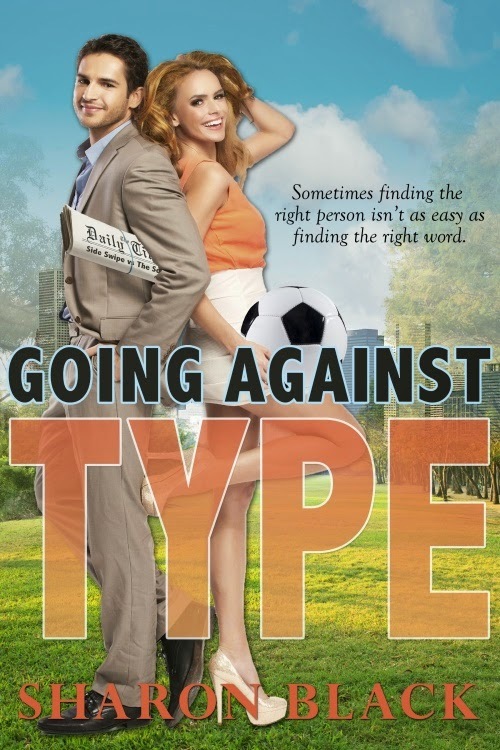 Leave a comment or question with your email address, and enter a chance to win a free copy of Going Against Type. A startling revelation - the long-time friend you never viewed romantically is actually the person with whom you want to spend the rest of your life. But what do you do about it? For Derek, a laid-back graduate camping with college friends on Ireland's west coast in the summer of 1996, the answer is … absolutely nothing. Never the proactive one of the group - he's more than happy to watch his friends surf, canoe and scuba-dive from the shore - Derek adopts a wait and see attitude. Acting on his emotional discovery is further hindered by the fact he's currently seeing someone else - and she's coming to join him for the weekend. As their five days on the beach pass, and there are more revelations, Derek soon realises that to get what he desires, he'll have to take it. Events conspire to push him to the forefront of the group, and, as unexpected sorrow begins to surround him and his friends, Derek grasps his chance at happiness. After all, isn’t life too short to just wait and see? 10% of the author's royalties will be donated to WWF, the World Wildlife Fund. Visit David at Heart of Fiction today. 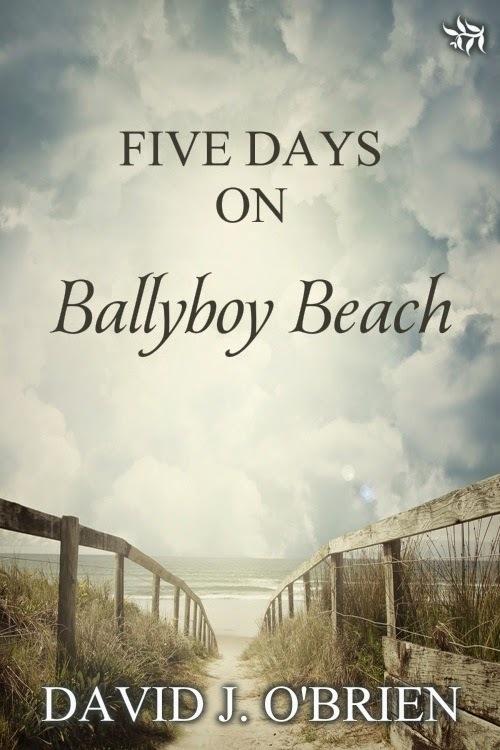 Leave a comment or question with your email address, and enter a chance to win a free copy of Five Days on Ballyboy Beach. When her fiancé Mr. Wood lets her down by flirting with another woman, Constance Wynne Hare tears off to Monte Carlo to forget him in the world of high rollers in the flashiest casinos on the Riviera. Will the ever-reliable lady’s maid Collier be able to rescue her from a dissolute life on the Mediterranean? The Jazz Age adventures of Constance & Collier return! Visit Kit at Heart of Fiction today. 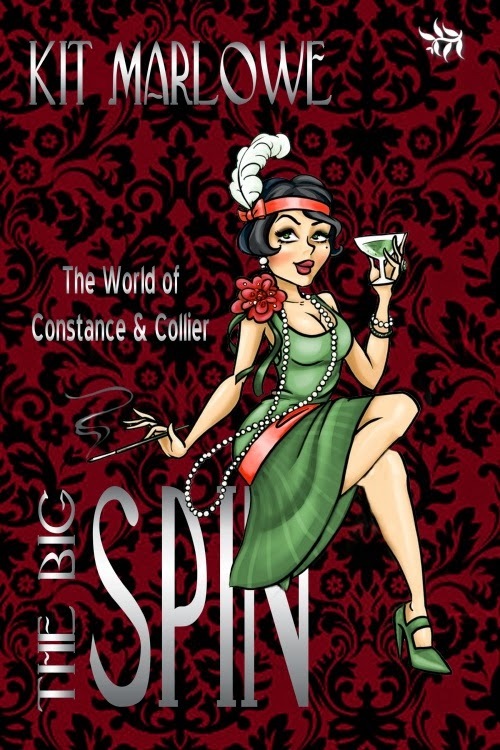 Leave a comment or question with your email address, and enter a chance to win a free copy of The Big Spin. Visit Tegon at Heart of Fiction today. 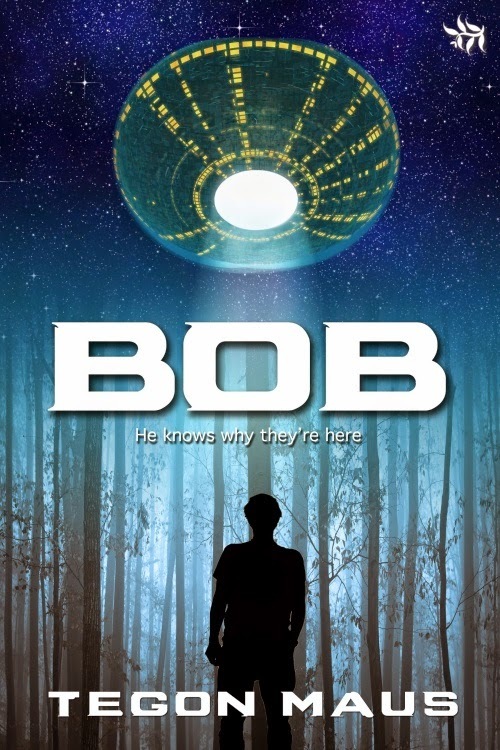 Leave a comment or question with your email address, and enter a chance to win a free copy of BOB. 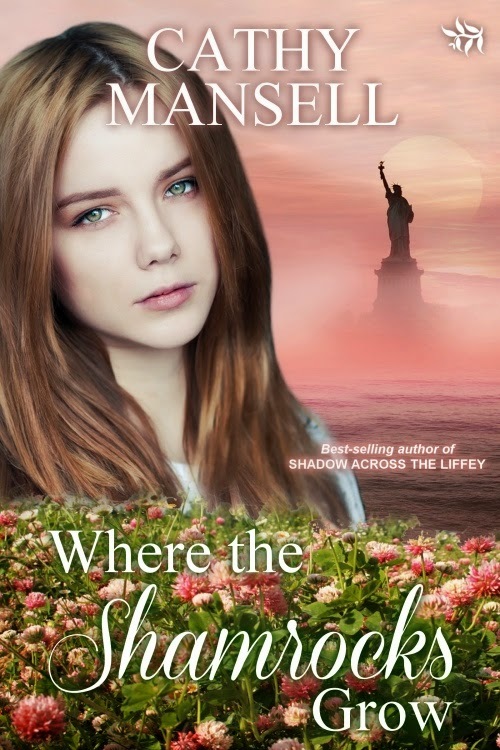 Young Jo Kingsley leaves war-torn Ireland for Paris, finding work in Chateau Colbert. Jean-Pierre, her employer's grandson, introduces her to Paris and womanly desires. Jo then travels to Prohibition American and falls in love with Mike Pasiński. loneliness, loss and hardship follow during the Wall Street crash. Will the beautiful Jo let go of her demons and learn to love again? Visit Cathy at Heart of Fiction today. Leave a comment or question with your email address, and enter a chance to win a free copy of Where the Shamrocks Grow.